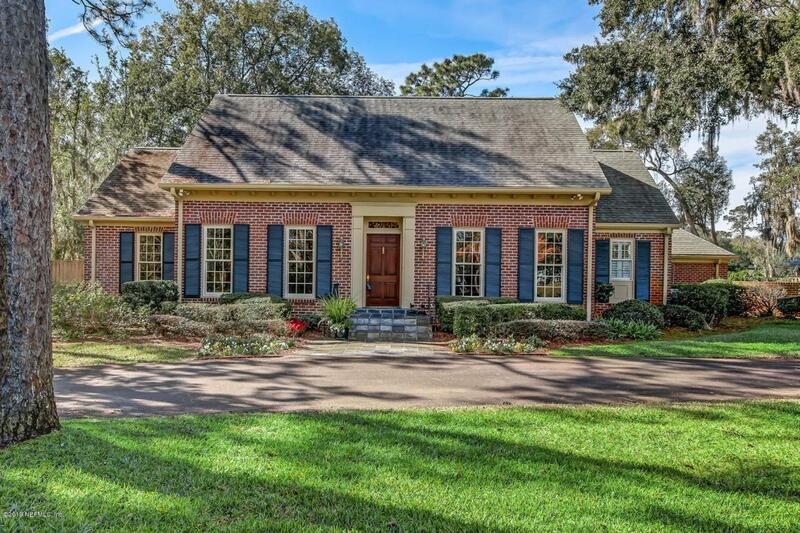 One of Deerwood's most unique homes* Authentic ''Williamsburg'' Restoration* Located on the beautiful 17th Fairway of the Deerwood Country Club Golf Course*This elegant home will charm the most discerning buyer! The spacious, sun-filled foyer is inviting & flows into a lovely living room & stunning dining room* The family room encourages one to relax, enjoy a fire, read a book or watch a favorite t.v. show* The handsome study affords a serene setting to tend to the ''business'' aspects of life* If culinary pursuits are of interest, you have found the perfect home! The kitchen has been completely renovated & features a commercial grade, 6-burner Thermador gas stove, Bosch dishwasher, granite, St. Steel appliances & so much more providing a marvelous space to gather & prepare favorite dishesThe second floor of this unique home will delight because it features three large bedrooms, two baths,tons of closet space, a playroom and two heated and cooled storage rooms! *This home truly has a place for everything! * Please refer to the document section for a detailed list of improvements and enhancements to this gracious home! * Thank you for visiting!